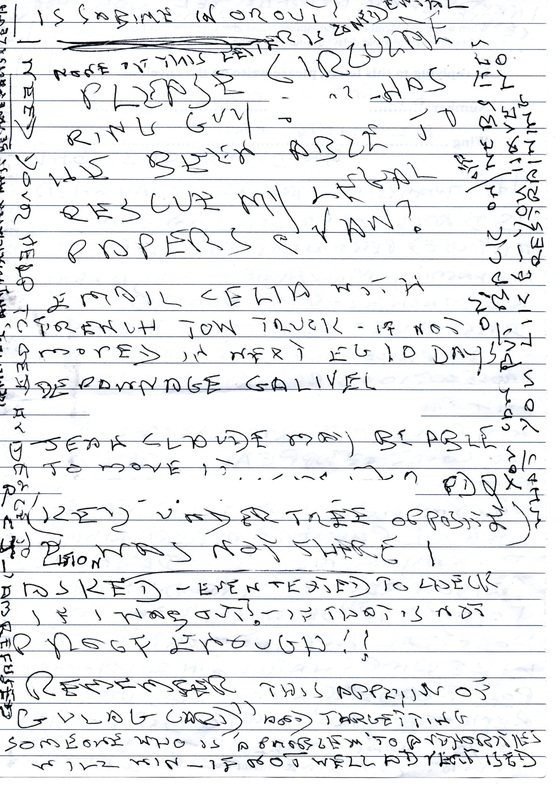 Maurice writes from HMP Parc - letter dated 28 Dec. 17 - he was sentenced to 2 years imprisonment at Cardiff Crown Ct. on the 14 December for the alleged "breach of a restraining order" again - an order that was never served according to the law, pertaining to the dubious doctor who claimed, amongst other things, that Maurice had a "brain tumour" and was a threat to himself and society and should therefore be locked away permanently in a closed mental unit. Proper tests that took literally years to get undertaken finally proved that Maurice had no "brain tumour" [see: 5 SEPT: MAURICE KIRK: DOLMANS SOLICITORS, GMC WILL NOT ERASE FALSE REPORT ABOUT NON-EXISTENT “BRAIN TUMOUR”] and the entire thing was, allegedly, an extremely dubious example of the skullduggery Maurice has become used to over the 23+ years he has been fighting, perfectly reasonably, for justice, yet seems to have been punished for so many times. Each couple of years the figure for the years he has been imprisoned unfairly since 2009 goes up - now this figure has gone up to 7 years unfairly imprisoned since 2009 with the addition of this present term - maybe even longer. Seeing as this present term of imprisonment alone is based on a restraining order that wasn't served as the law clearly states it must be in the first place it is remarkably unfair and unjust that a 72 year old citizen should have to put up with such continuing irregularities, considering these are prison sentences and the loss of Maurice's very freedom that's happening here, not a paltry monetary fine or similar. It seems that if Maurice had knowledge alone of such an order he is guilty if it is broken - is this right? 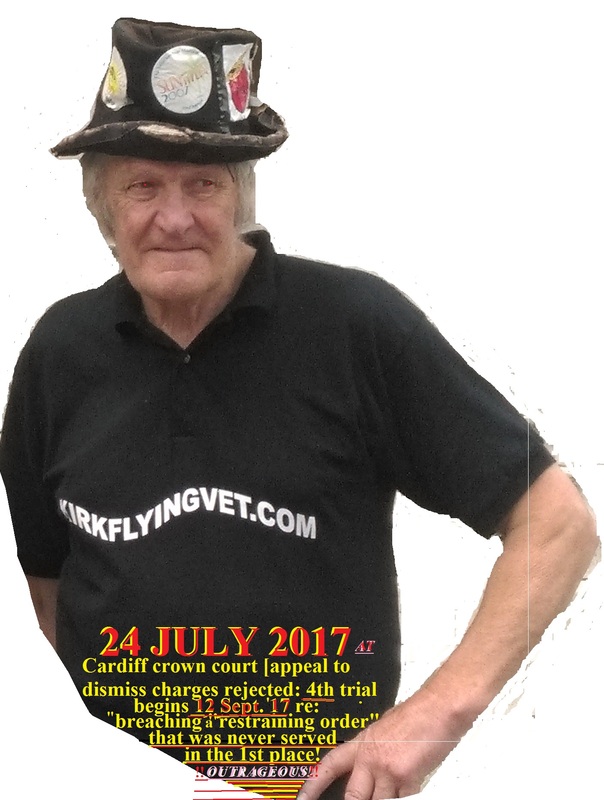 As the Recorder of Wales stated in a recent hearing that Maurice "had knowledge" of the order - as she proceeded to give him the date for his 4th trial of "breaching" it. How can this be legal? After all, despite even a jury at a hearing once asking to see the original order, it couldn't be produced. "28/12/17 "Thanks. 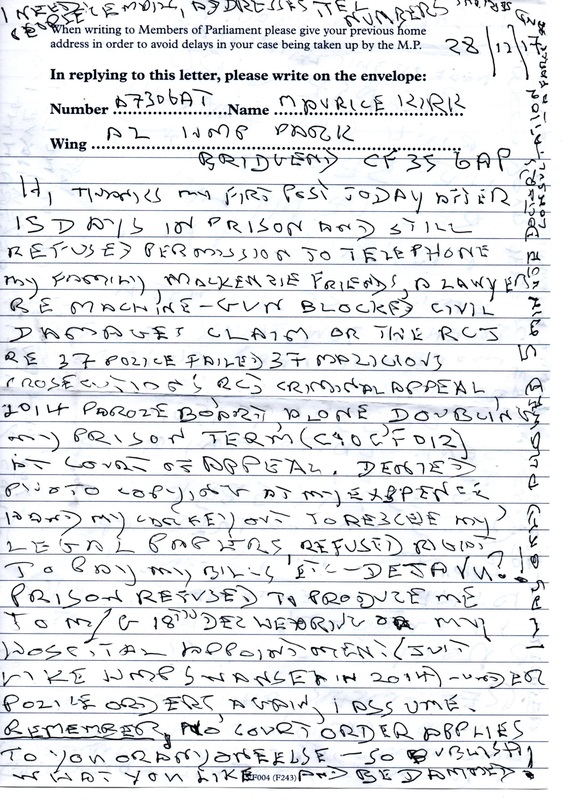 My first post today after 15 days in prison and still refused permission to telephone my family, mckenzie friends, a lawyer re: machine gun blocked civil damages claim or the RCJ re: police failed 37 malicious prosecutions, RCJ criminal appeal 2014 parole board, alone doubling my prison term [C40CF012] at court of appeal, denied photocopying at my expense, hand my car key out to rescue my legal papers, refused right to pay bills etc. - deja vu? 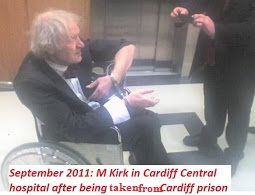 Prison refused to produce me to my 18 December hearing or my hospital appointment [just like HMP Swansea in 2014] under police orders, again, I assume. REMEMBER no court order applies to you or anyone else - so publish what you like and be damned! Is Sabine in or out? None of this letter is confidential. Please circulate. Ring Guy - has he been able to rescue my legal papers + van? Email Celia with French tow truck - if not moved in next eg. 10 days Depamnage Galivel [number] Jean Claude may be able to move it [number] PDQ [key under tree opposite] was not there I asked - even tested to check if I was out! - if that is not proof enough? Remember this applying Gulag Card and targetting someone who is a problem to authorities will win - if not well advertised.